Purchasing a new car can be a difficult and stressful experience – but one which motor manufacturers strive to make as easy and enjoyable as possible. Purchasing a used car can also be stressful, but it’s not often considered as a key area for transformation or change. There’s no real logic to this – after all, for most franchised outlets, selling used cars constitutes around 25 per cent of their business. And that’s why Volkswagen is changing the way it sells used cars with the launch of ‘Das WeltAuto’. Literally translated as ‘The World Car’, this is a global initiative and a long-term commitment to make the used car buying experience as close to the new car experience as possible, enabling the Volkswagen network to sell ‘Used cars you can trust. Guaranteed’. Any passenger car, Volkswagen or otherwise, which is under 100,000 miles can now be sold as an approved ‘Das WeltAuto’ car (subject to achieving the required standards), hence broadening the range of vehicles available on forecourts and enhancing the choice available to customers. 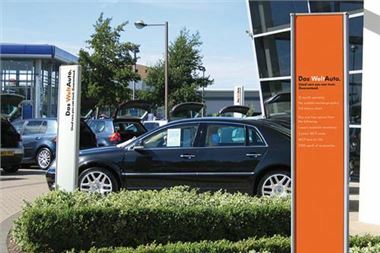 Typically, all manufacturers in the UK have an approved used car programme which focuses on the quality of the car. With Das WeltAuto, Volkswagen is introducing a programme which also takes into consideration the complete buying experience and the importance of a flexible package to meet customers’ requirements. For each vehicle advertised, the Retailer will suggest a number of approved accessories to enhance and personalise the vehicle, for example, alloy wheel upgrades; parking sensors; cruise control; satellite navigation; or Bluetooth / iPod connectivity. The prices shown will include VAT and fitting costs where appropriate to make the process as transparent as possible. For more information, to find your nearest Volkswagen Retailer or choose your ideal used car, visit www.volkswagen.co.uk/used.